Great Blue Heron Wall Art-The design is created entirely from painted textures created by Noah who is Autistic. 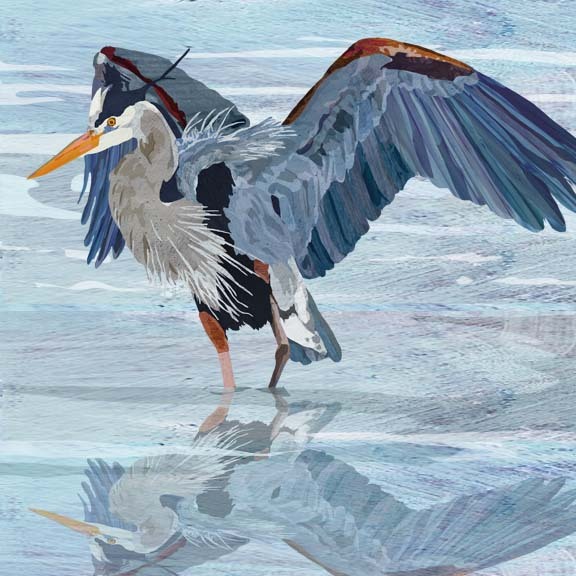 His mother Patti has collaged them together to create the image of a Great Blue Heron reflected in the water. No Frame is needed as the image is mirrored on the 1″1/2″ sides all around. 12" x 12", 24" x 24"